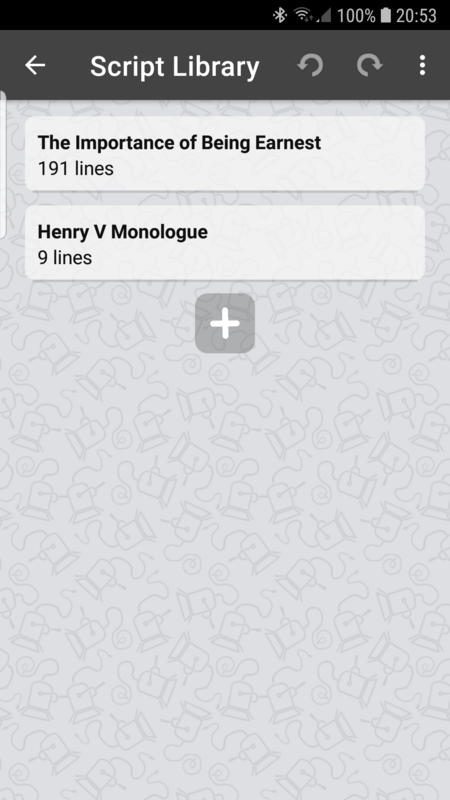 Learn lines with Script Rehearser in three easy steps. 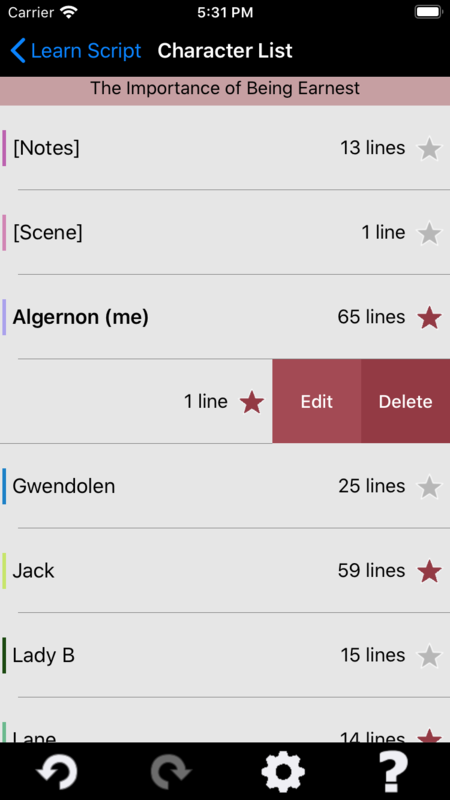 Rehearse your script using the Learn Script screen. 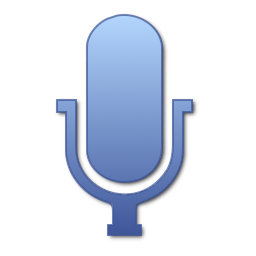 The lines will be spoken using the voice synthesiser that came with your device, or using the recordings you have made on the Record / Edit screen. Touch a line to start playing, or use the Play button. 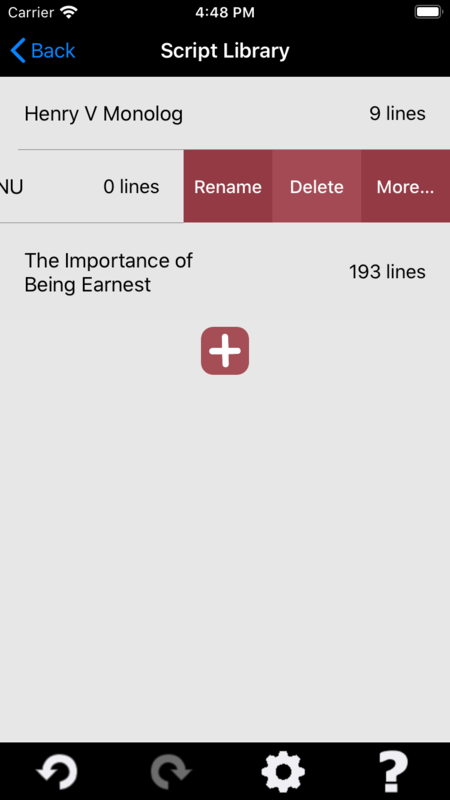 You can skip forward to your next cue (the line before your next line) or to the next scene. 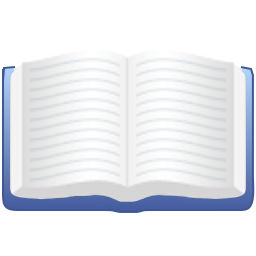 For more information on using the Learn Script screen, see the Screens section of this web site. 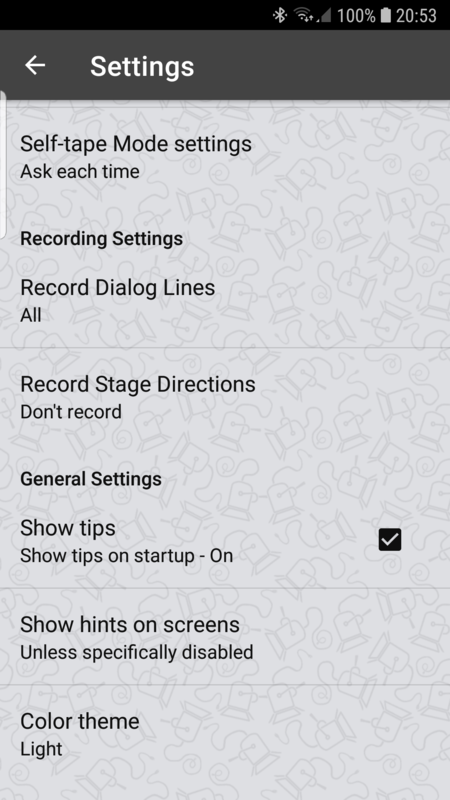 Using the Settings screen you can change the way the app works to suit your rehearsing style. 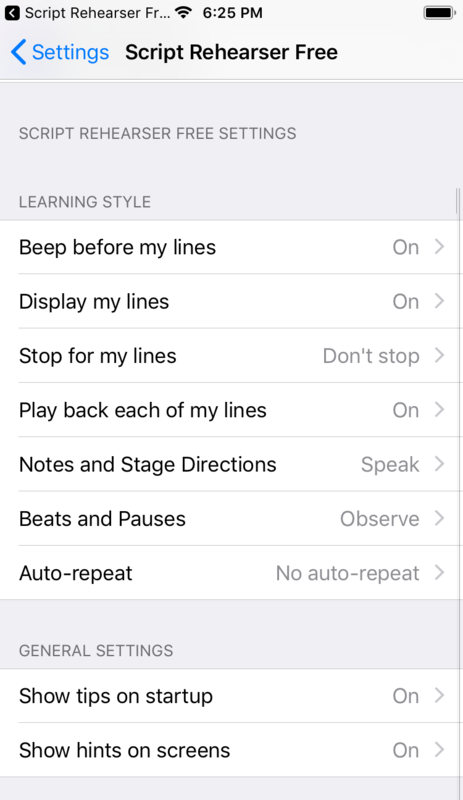 You can change whether the app displays or hides your lines, and whether it speaks them immediately or stops on each of your lines. 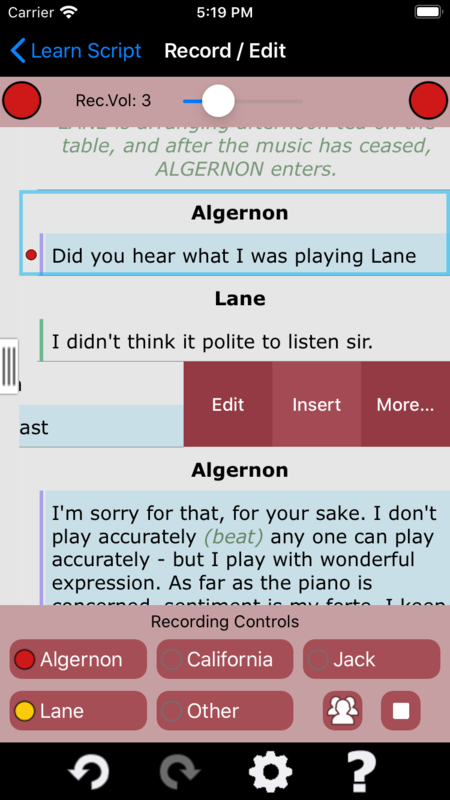 You can also choose to automatically repeat a scene or the whole script when rehearsing. For more information, see the Screens section of this web site. 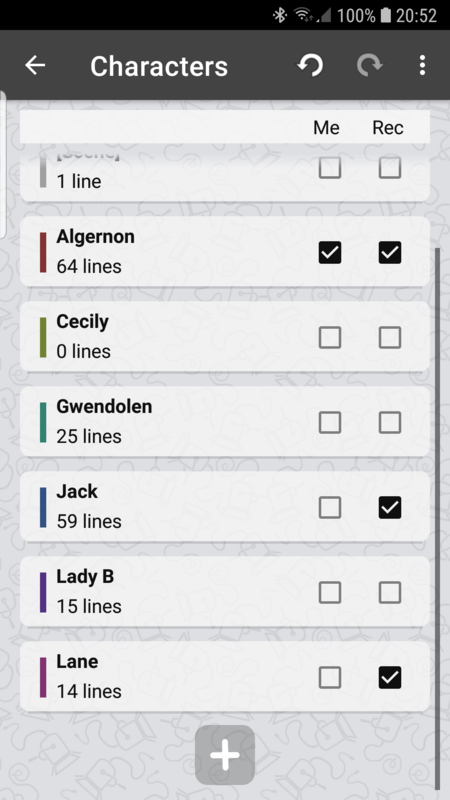 The lines for your character are highlighted. 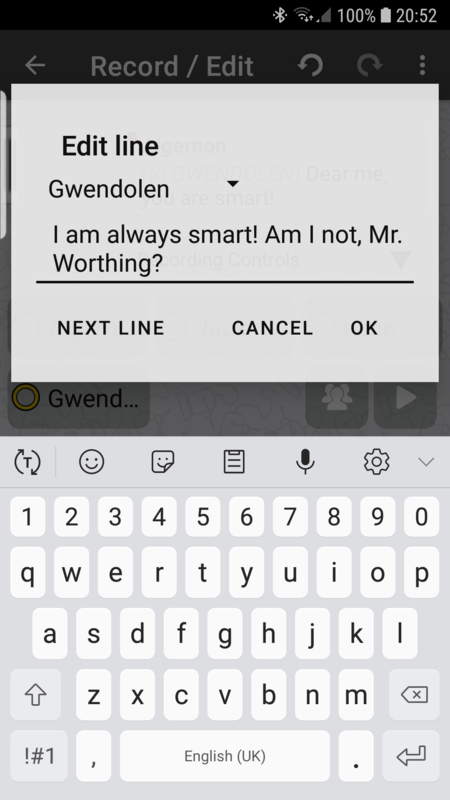 Tap to prompt you with the first few words from your line. 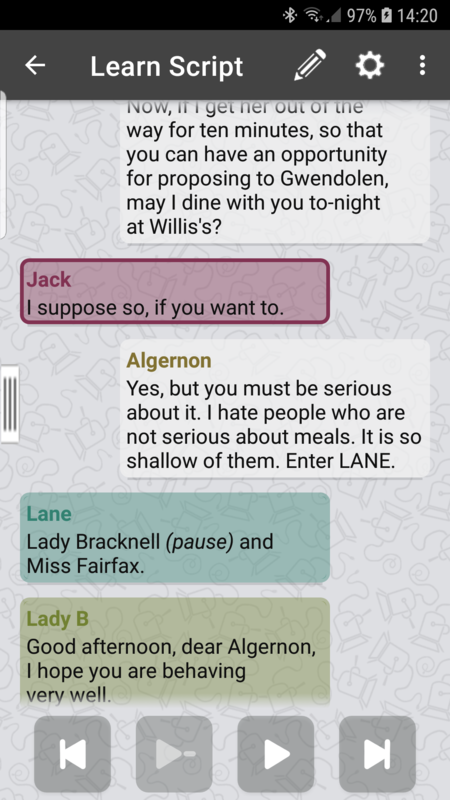 This marks the character as yours, highlighting the lines when rehearsing. Use your Google account to sign in. 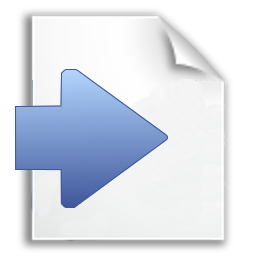 This will let you post in the forum and set your preferences for this web site. Make comments. Get answers from the Script Rehearser community. 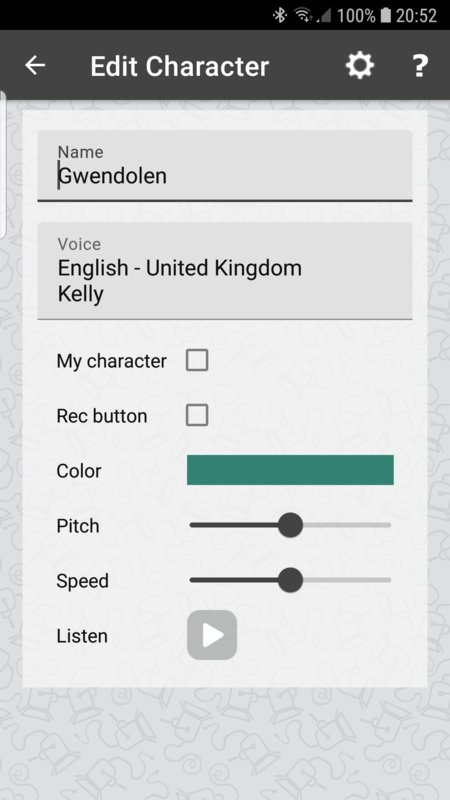 Script Rehearser is a free rehearsing app for Android. Hit the ground running. 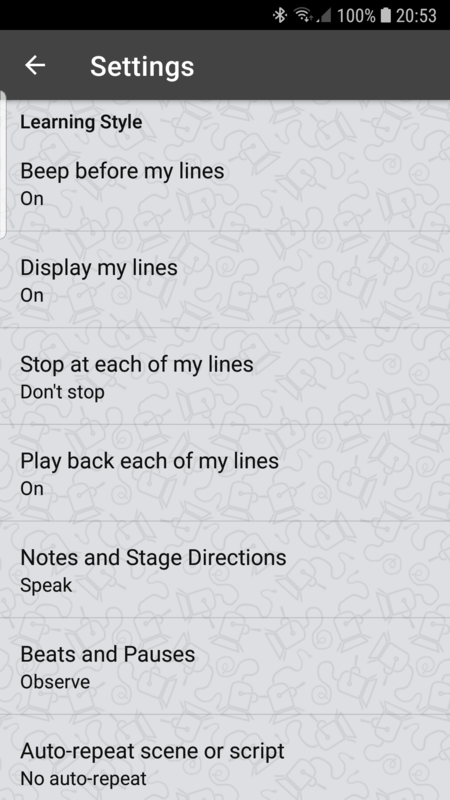 Save yourself hours of time and turn up knowing your lines. 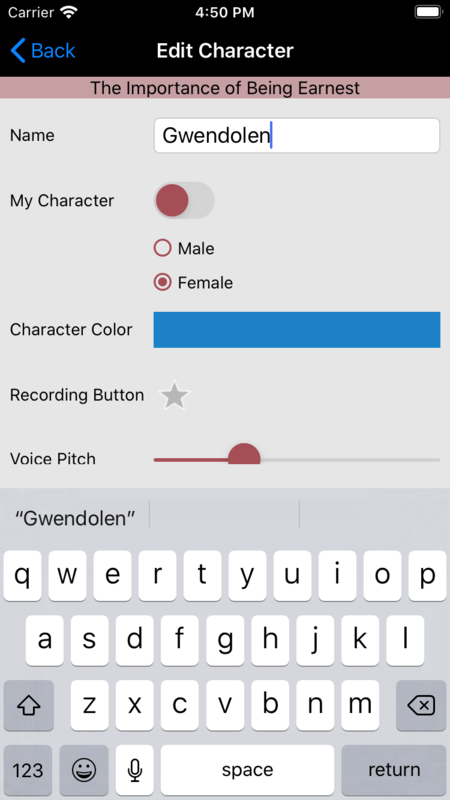 Whether it’s a stage script, screenplay, speech or presentation, you can rehearse and memorize on the go in an effective and convenient way. Completely free, with no ads, no paid upgrades and no random payments - we just love to support actors. Listen Along. 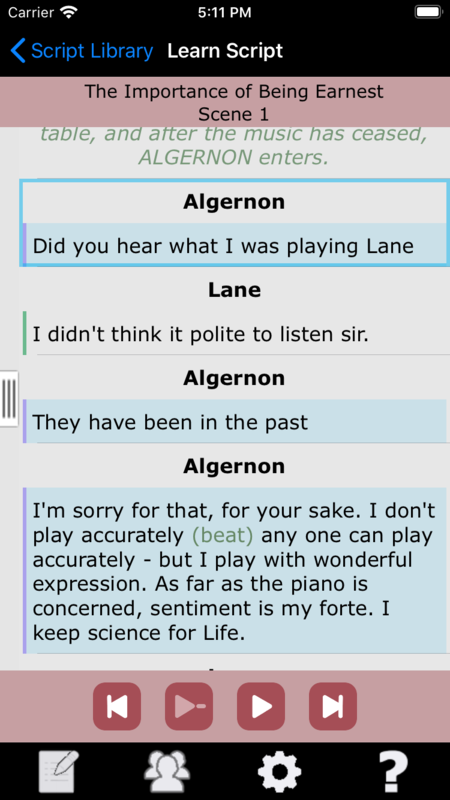 Script Rehearser speaks, you listen. 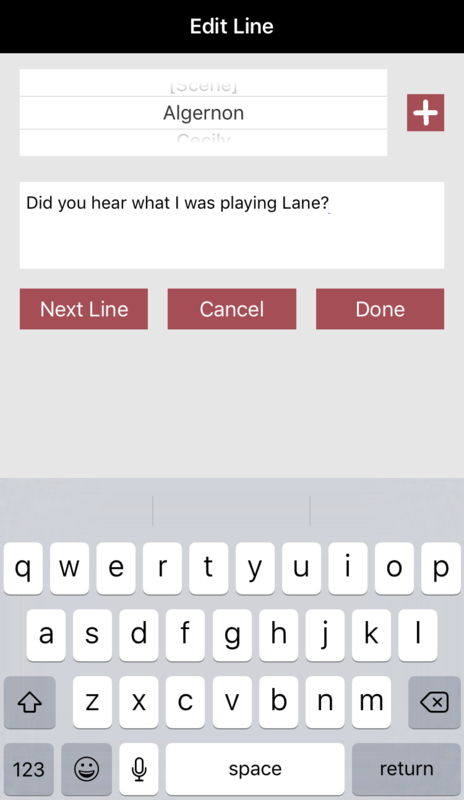 You can play, pause, and jump forward to your next line or back to your previous one. Here at Script Rehearser we take your privacy seriously. We don't sell your data or share it with anyone else. We use it only to improve our app and to make our online forum work. 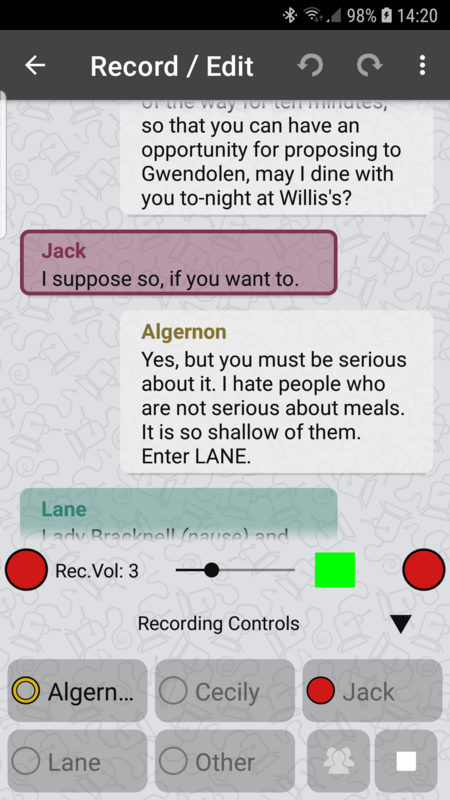 When you use the app we collect some anonymous data. This lets us understand how the different features of the app are being used. This data includes the unique id of your device, so that we can tell how frequently the app is used. Note that this does not allow us to identify you as an individual, just to track how the app is used.